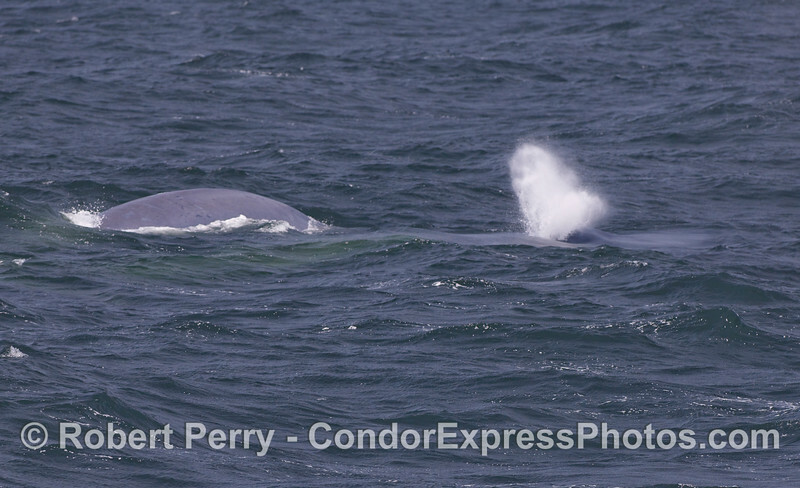 Blue Whales (Balaenoptera musculus), including a mother and calf. It was an adventure up the coast to Platforms Hondo and Harmony, then south to the feeding grounds at Santa Rosa Island. 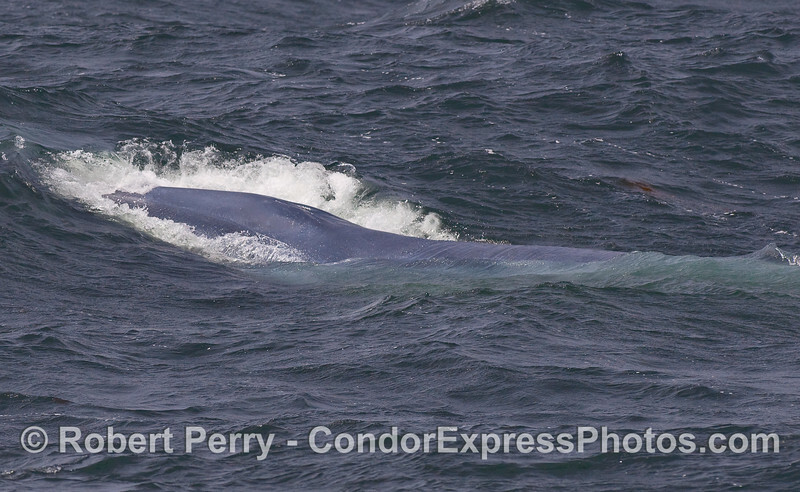 Blue Whale Mother and her calf. 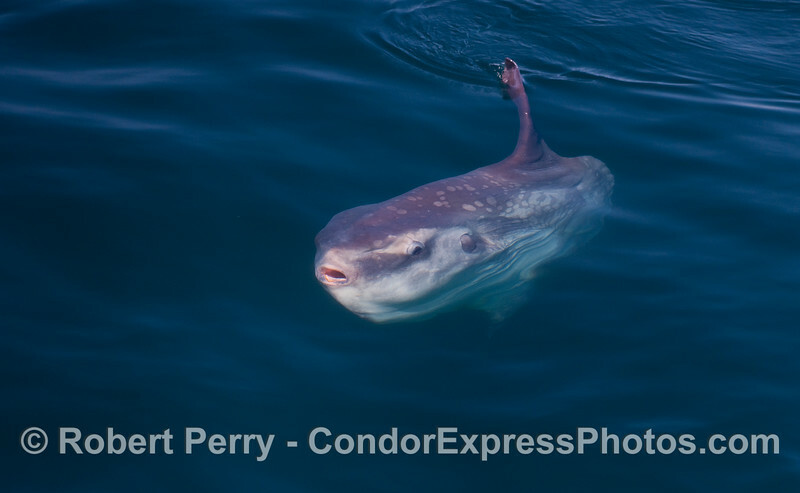 A big Ocean Sunfish (Mola mola). 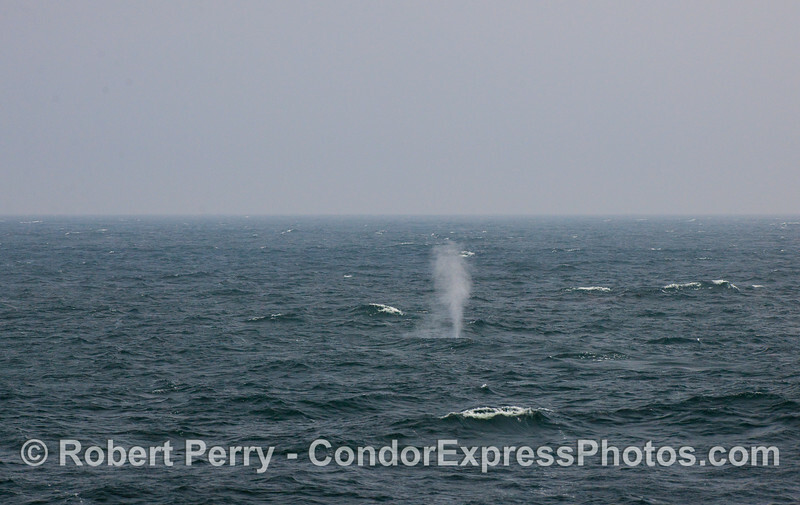 First glimpse of a Blue Whale at a distance, across choppy seas. 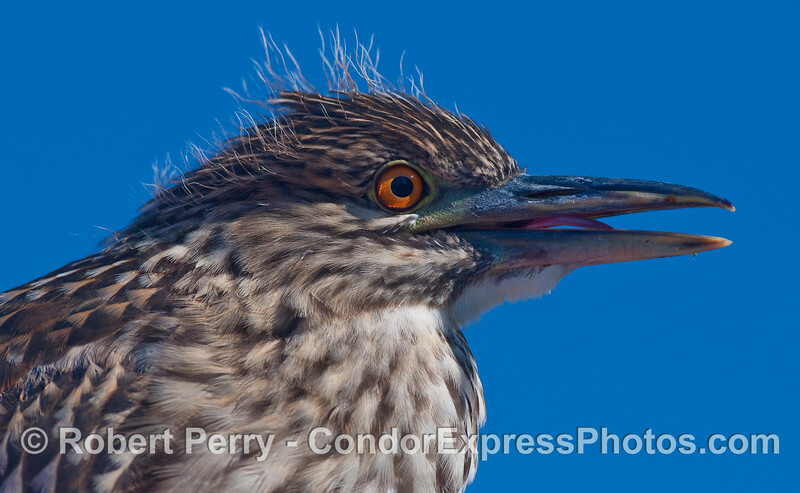 At the dock in Santa Barbara Harbor, a juvenile Black-crowned Night Heron (Nycticorax nycticorax) sticks its tongue out. 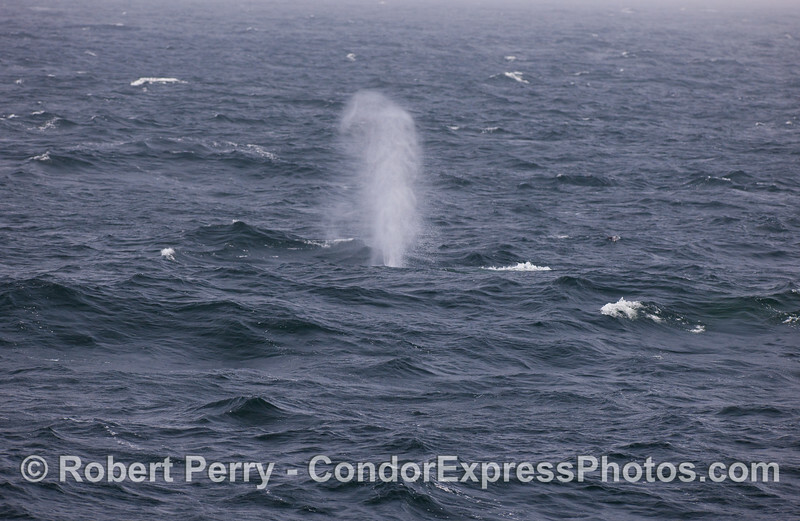 A geyser erupts out of the ocean...Blue Whale spouts from behind a wave. 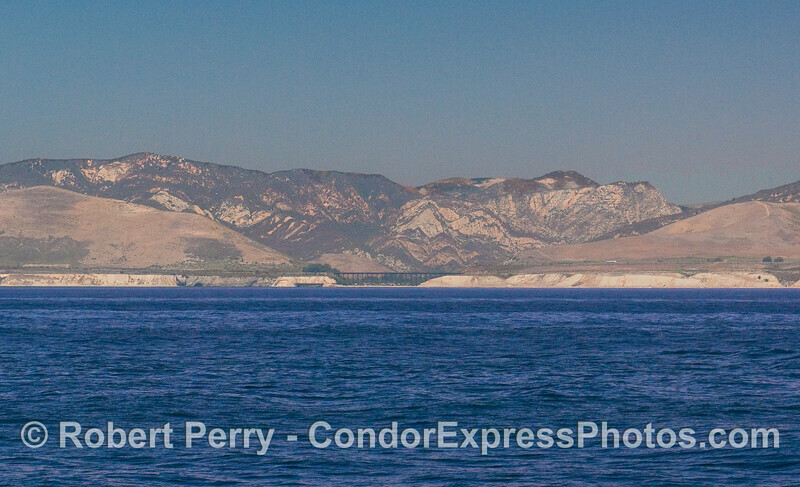 Gaviota State Beach, the train tressle and pier, and Gaviota Pass in the back. 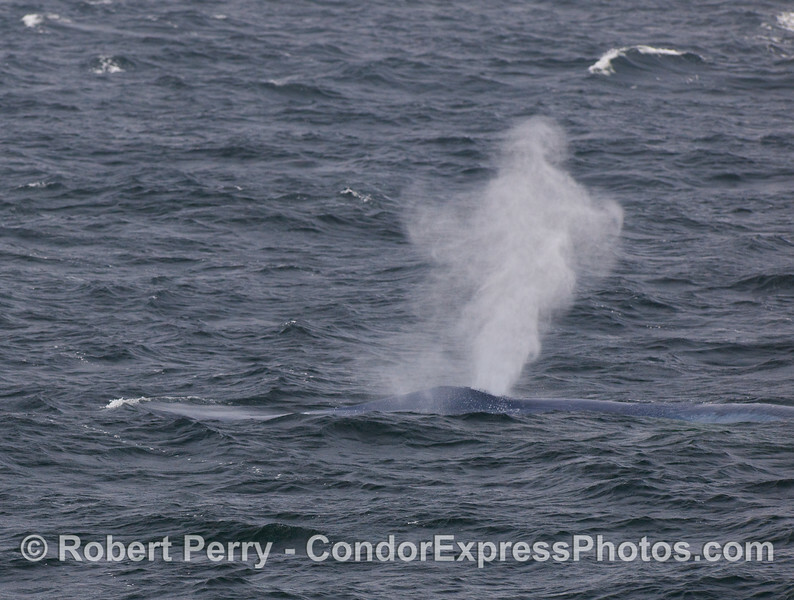 Blue Whale head and spout. 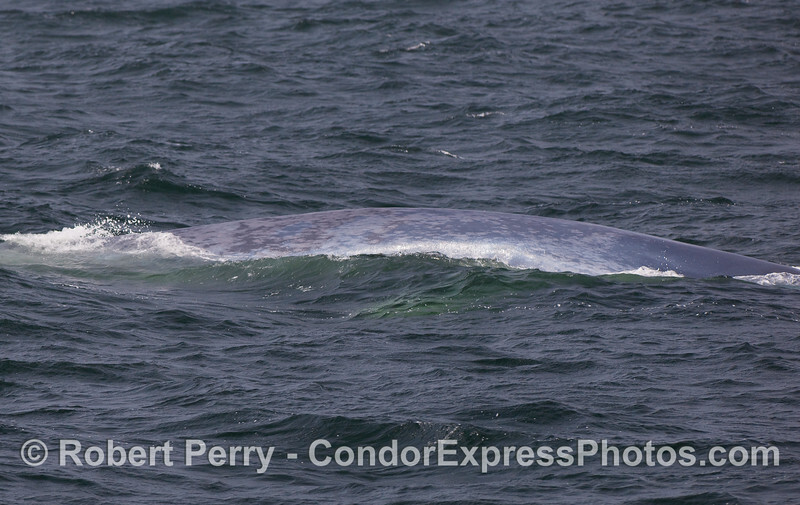 Mottled grey flanks of a Blue Whale. 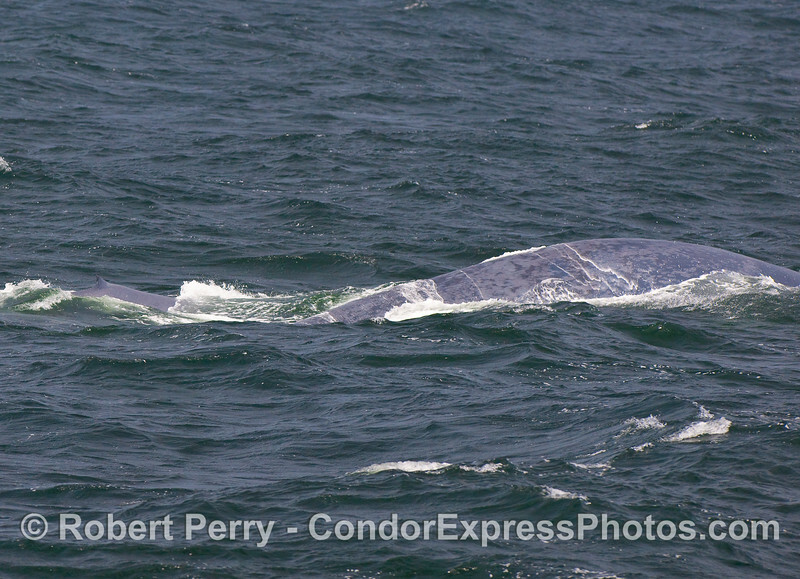 Blue Whale mother (on right) and her calf (dorsal fin on left). 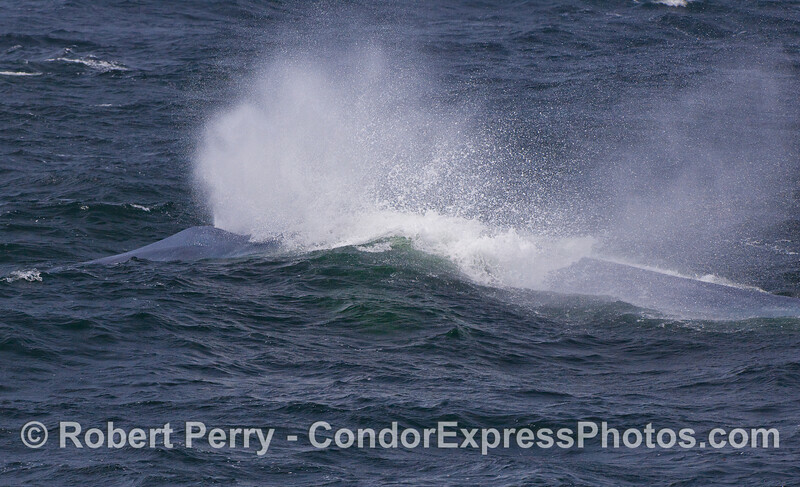 A Blue Whale busts through on coming waves. 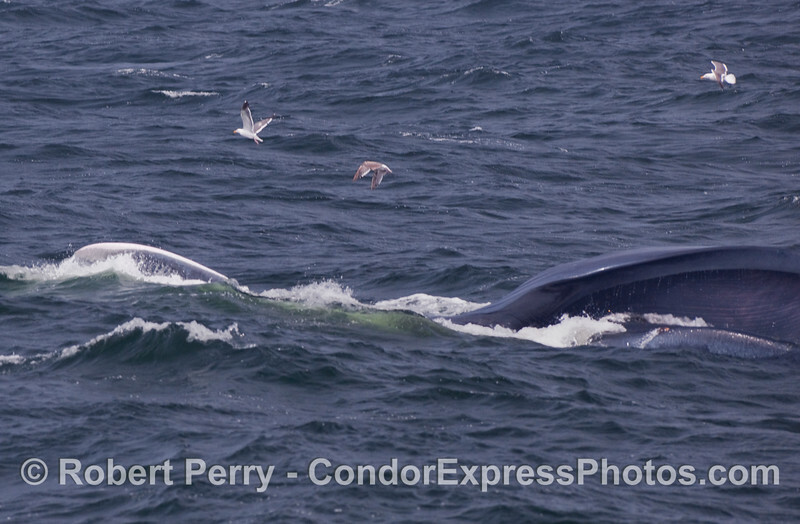 Gulls surround a Blue Whale lunge-feeding on the surface. The whale is upside down, leaning on its left side, mouth open (right side of photo). The baleen in the upper jaw can be seen with red spots that are its prey, Krill (Thysanoessa spinifera). To the left side of the photos the right pectoral fin (white) is out of the water. 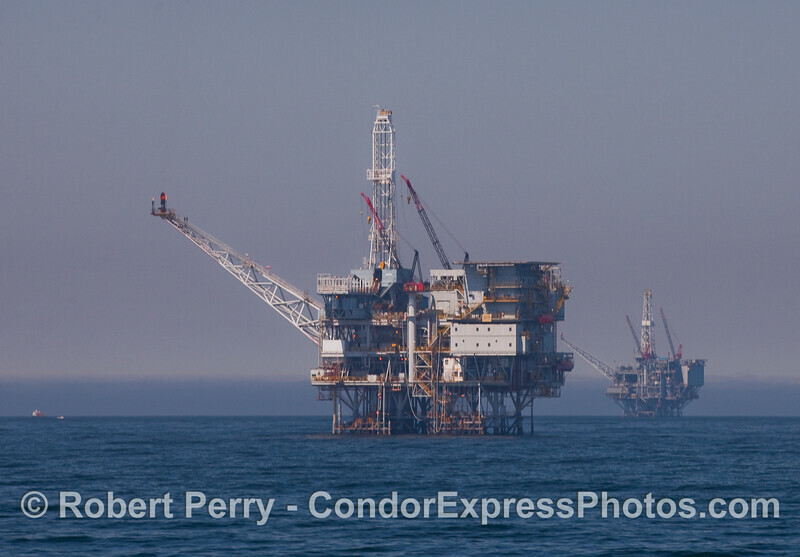 Oil platforms near Gaviota: Platform Hondo in front, and Harmony in back. 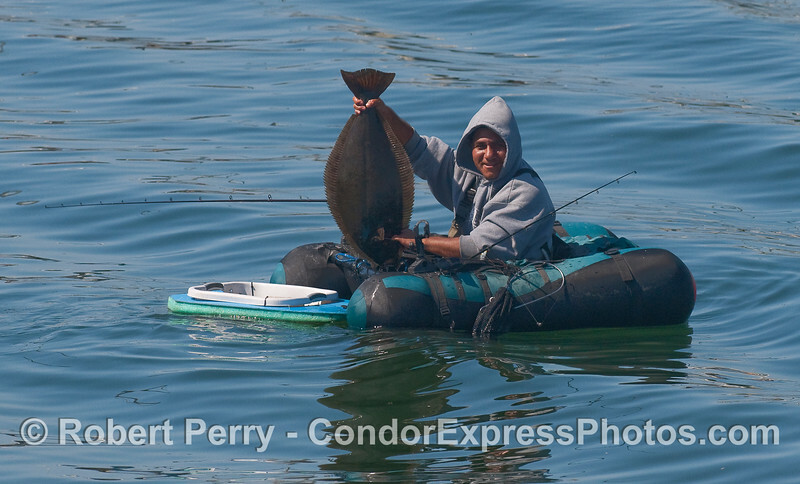 Tube fisherman in the Harbor shows off his California Halibut (Paralichthyes californicus).